Mabuza attributes electricity shortage to population growth - SABC News - Breaking news, special reports, world, business, sport coverage of all South African current events. Africa's news leader. 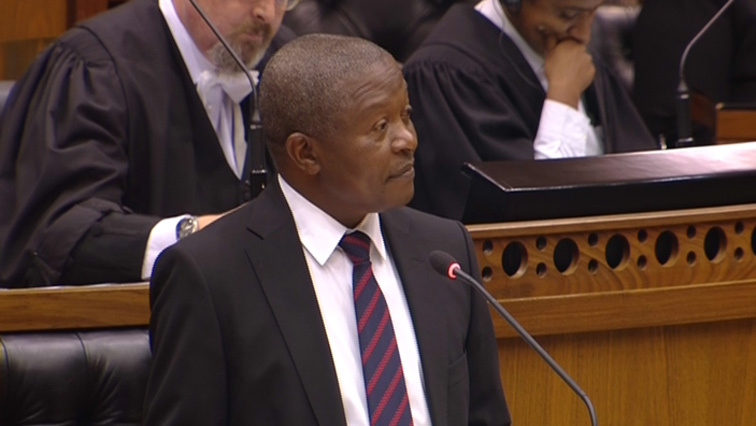 Deputy President David Mabuza in Parliament. Deputy President David Mabuza has attributed the shortage of electricity in South Africa to the rapid growth in population. He was responding to Democratic Alliance (DA) Chief Whip John Steenhuisen’s question during his oral reply session in Parliament. Steenhuisen criticised government for Eskom‘s current electricity crisis. The power utility has admitted that it has serious technical problems. It also has a debt in excess of R400 billion. “Now the shortage of electricity it’s a sign of growth. If you remember, electricity was only given to a few people and today electricity is given to millions of people and it’s a sign of growth. Of course as we grow, we are going to encounter challenges of growth,” says Mabuza. This entry was posted on 27 Feb 2019,05:08PM at 5:08 PM and is filed under mobile-leadstory, Politics. You can follow any responses to this entry through the RSS 2.0 feed. Both comments and pings are currently closed.